People who weigh over 200 lbs. (defined as “heavy sleepers”) need to take some specific factors into consideration when shopping for a mattress. These people often have troubles that lighter-weight sleepers don’t have, such as poor support and overheating. These problems can lead to unsatisfying sleep as well as aches and pains throughout the day. These factors will greatly influence a heavy sleeper’s quality of rest as well as the lifespan of the mattress. There are a variety of different mattress styles that are built to support heavy sleepers. They are made with materials such as memory foam, latex, innerspring coils, and hybrids of these. All the options can make shopping for a mattress a difficult process, so we’ve put them all to the test to make this list of the best mattresses for heavy people. A mattress with all the right attributes will ensure a proper night’s sleep for heavy sleepers. Let’s take a look at what a larger sleeper should look for when shopping for a new mattress. Firmness: The weight of a sleeper and the style of sleeper need to be taken into account when deciding on the proper firmness of a mattress. Heavier sleepers tend to need a medium to firm mattress, as opposed to a softer one. This will ensure that heavier sleepers experience the support that they require and that the mattress will remain firm and won’t buckle over time. Within this medium to firm range, a heavy sleeper should also consider what style of sleeper they are. Stomach and back sleepers should consider options on the firmer side, while side sleepers and combination sleepers may want to choose a mattress nearer the middle of the spectrum. Thickness: Sleepers that weigh more need a mattress of appropriate thickness to ensure that enough layers of support and comfort are present. It’s not the number of layers that is important but the thickness of each layer. An 8-inch mattress may be just fine for a lighter-weight sleeper, but a heavier sleeper will need more firm base support to counter the higher level of compression that comes with weighing more. Heavier sleepers are recommended to seek a mattress with a thickness of at least 12 inches. 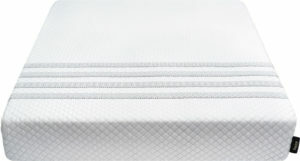 Edge support: Edge support is the measure of how much the edge of the mattress compresses when it’s sat or slept upon. A mattress with poor edge support can represent a real problem for heavy sleepers who sleep near the edge of the mattress. It’s a fact of life that more weight causes more compression, and heavy sleepers will need extra edge support to avoid sagging at the edges of the mattress. Temperature control: Sleepers who have more body mass retain more heat. This can be a problem when sleeping. Some mattresses, like memory foam mattresses, sleep hotter than others, and this effect can be compounded depending on a sleeper’s weight. No one wants to wake up sweating in the middle of the night, so heavier sleepers should consider mattresses that are made of breathable materials like cotton or latex, or feature cooling comfort layers such as memory foam gel. Support: Support is crucial for heavier sleepers. The thickness and firmness of a mattress contribute to good support, but they don’t guarantee it. Support is not affected by the feel of the mattress but by the way it keeps a sleeper’s spine aligned. For the proper measure of support in a foam mattress, look for the ILD (indentation load deflection) number, which indicates how much weight it takes to compress a mattress by 1 inch. These mattresses may contain layers with different ILD levels. Heavy sleepers should look for mattresses with support layers of 30+ ILD and comfort layers with 15+ ILD. In innerspring mattresses, coils provide support to the spine and neck. Heavy sleepers will want to find a mattress that use offset or pocketed coils. The four most common mattress types are innerspring, memory foam, latex, and hybrids. Each of these mattresses feature benefits and drawbacks for heavy sleepers. Let’s take a look at what one can expect from these mattress types. Memory foam: Memory foam mattresses appeal to heavier sleepers due to their high degree of support and their durability. These mattresses are made of solid, firm memory foam and won’t easily buckle under heavy weight. They are known to provide excellent support for the spine, neck, and joints due to their ability to fit to the contours of the body and “remember” the shape of each sleeper, regardless of weight. Some issues heavier sleepers have had with memory foam include sleeping hot and low mobility, meaning it can be difficult to change positions or get off the mattress. Innerspring: Innerspring mattresses contain coils that compress when a sleeper lies down. These mattresses are known to wear down over time and decrease in their level of support, but they sleep cooler. Sleepers who are overweight or obese may want to consider an innerspring mattress, as they are easier to get off of than foam mattresses. Latex: Latex mattresses are a good option for heavy sleepers as they offer a lot of the positives of memory foam and innerspring mattresses in one package. Natural latex foam is supportive and firm while remaining cooler than memory foam. It is also easier to get off of a latex mattress (although not as easy as an innerspring mattress). Latex also tends to keep its shape over time better than other mattress types. This is a big benefit for heavy people who are more likely to leave permanent impressions in their mattresses as time goes on. Hybrid: Hybrid mattresses contain elements of two or more of the previous types of mattresses. For example, it’s not uncommon to find a mattress with an innerspring support core and a memory foam comfort layer. Hybrids tend to be popular among heavy sleepers. Combining different layers can maximize positive features such as support and thickness while minimizing negatives like sleeping hot and low bounce. A hybrid mattress can offer the best of all worlds or the worst for a heavy sleeper, so remember to keep in mind the optimal thickness, ILD measurements, and quality of the support coils when shopping for a hybrid mattress. Our picks for the best mattresses for heavy people are based on exhaustive research, data analysis, and consumer reviews. All the factors above have been taken into account and applied to mattresses of all types. The following mattresses are those that outperformed the rest in all of our tests. GhostBed is a mattress company that operates exclusively online. They offer one mattress model in a variety of different sizes. The hybrid of natural latex foam and CertiPur-US certified organic memory foam in the GhostBed is an ideal pairing for heavy sleepers. The firmness and durability of memory foam provide long-lasting support that heavy sleepers need, while the cooling comfort of latex diffuses heat and adds some bounce. Cover: The GhostBed features a removable polyester cover for cool comfort and easy cleaning. Comfort layer: The top comfort layer consists of 1.5 inches of aerated latex foam for optimal support and temperature control. This layer provides a soft support while remaining firm enough to facilitate easy movement on and off the mattress. Transition layer: A middle layer of 2 inches of natural gel memory foam is denser than the top layer to provide more contour support. The gel foam enhances the breathability of the latex while offering pressure relief. Support layer: 7.5 inches of high-density support foam ensure the durability of this mattress and provide a solid base necessary in a firm mattress. Temperature control: Heavy sleepers have more problems with feeling hot at night than lighter-weight sleepers. The GhostBed counteracts this with its two layers of cooling foam. The top layer of aerated latex foam and middle layer of gel memory foam are both specially designed to increase breathability and minimize heat retention. 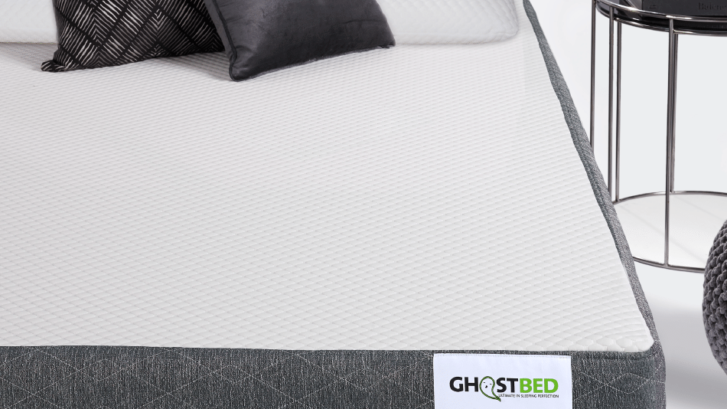 Low motion transfer: The GhostBed’s latex comfort layer makes the bed easier to move around in, and the memory foam decreases motion transfer. This means that a sleeper will find it easy to change positions at night and he or she won’t have to worry about disturbing a partner in bed. Support: The GhostBed’s 11 inches of foam provide the firm support a heavy sleeper needs while maintaining the comfort of a soft, cool mattress. As a result of the durability of latex foam, this mattress remains optimally supportive at less than 12 inches of thickness. Warranty: GhostBed’s 20-year warranty is above the industry average. A 101-night sleep trial also comes standard. 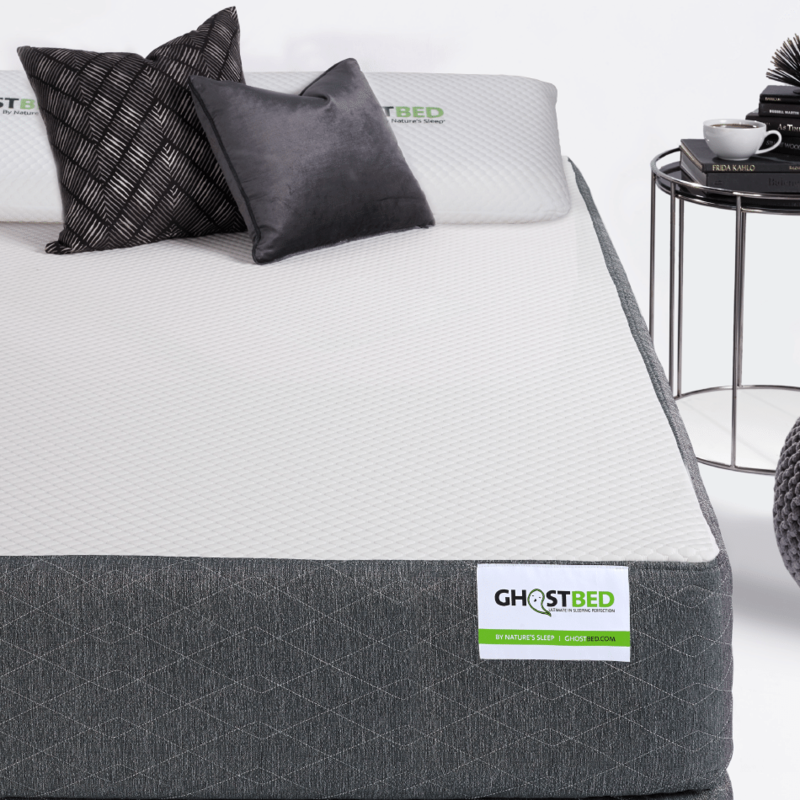 For more information, check out our full review of GhostBed. The socially conscious company Leesa launched its second mattress offering, the Sapira, after over a year of careful development. The innerspring coils and memory foam layers in this hybrid mattress combine to cover all a heavy sleeper’s needs. The memory foam provides firm support that won’t buckle under heavy weight, and the innerspring coils provide the bounce and mobility to facilitate movement on and off the mattress. The Sapira comes in one mattress model and is available in six sizes. Performance layer: This aerated foam layer is 1.5 inches thick. It increases breathability and bounce while providing the cradling comfort of memory foam. Comfort layer: 1.5 inches of memory foam make this comfort layer soft and supportive for the back, neck, and joints. Transition layer: A 1-inch, dense layer of foam provides support for the comfort layer and a buffer for the innerspring layer below. Innerspring layer: A 6-inch layer of pocketed coils provides support and increase mobility without sacrificing low motion transfer. Base foam: An additional inch of support foam provides a high-density base for the springs, making sure that they provide continuing contour support. Support: The combined efforts of the foam and strong, pocketed springs provide a firm and supportive surface for heavier sleepers. The Sapira has been reported to perform well with sleepers of up to 450 pounds. Bounce and mobility: The thick innerspring layer brings the bounce and mobility of an innerspring mattress to the comfort and support of a memory foam mattress. Temperature control: Aerated foam helps this mattress remain cool through the night. Edge support: The bottom two layers of this mattress have the combined effect of bringing solid support to the very edges of the Sapira. To find out more, read our full review of the Sapira. The company Nest Bedding introduced the Alexander Signature Series in 2016, and this mattress model has generated high customer satisfaction among heavy sleepers ever since. This memory foam mattress is known for providing the firmness and support necessary for heavier people while maintaining optimal comfort due to its comfort layers and unique quilted cover. The Alexander Signature Series comes in three mattress models and is available in six sizes. Heavier sleepers are recommended to choose the medium or firm model. Quilted cover: This comfortable and breathable cover is designed to enhance the firmness of the mattress without sacrificing comfort. The cover is a full 1.5 inches thick and adds an extra layer of support for heavy sleepers. Gel comfort layer: 4 inches of gel memory foam greatly increase comfort and heat diffusion. Visco comfort layer: This 1-inch layer of memory foam adds bounce and responsiveness to counter the soft, cradling foam above. Transition layer: This layer is comprised of 2 inches of denser foam to help transition to the firm base foam below. Support layer: 4 inches of high-density base foam ensure the proper firmness for heavy sleepers. Support: Comfort layer are stacked between more firm layers of foam to provide durable support for heavy sleepers. Optimal thickness: At over 12 inches thick, this mattress goes beyond most recommendations for optimal mattress thickness for heavier people. 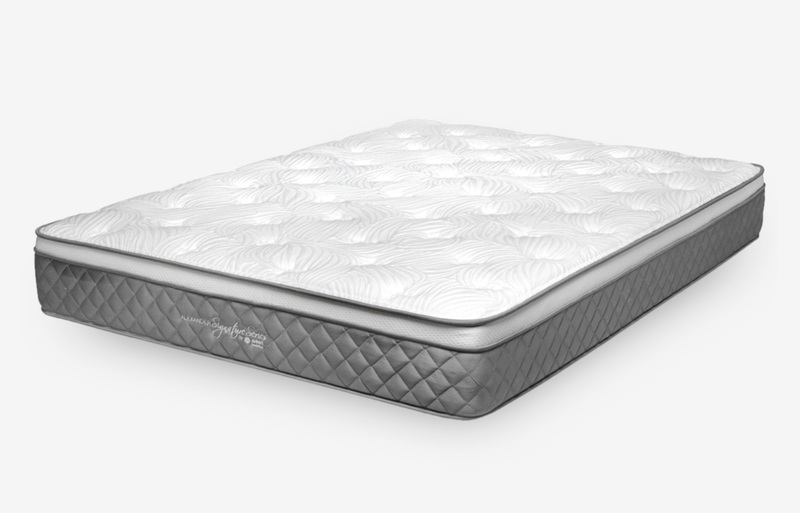 Edge support: High-quality memory foam layers and long-lasting firmness help the Alexander Signature Series maintain its support even at its edges. Warranty: An excellent 20-year warranty comes standard with the Alexander Signature Series Mattress. For more details, read our full review of the Alexander Signature Series. Get $100 off the Alexander Signature Series! The Nectar mattress is comprised of 5 layers designed to provide heavy people with even distribution of weight, pressure relief, cooling, and bounce. The all-foam construction is 11″-thick, and while some lighter-weight sleepers may find it a bit firm, heavier sleepers find it delivers consistent support for a variety of sleeping positions. Nectar also comes with a 365-day sleep trial and is a good deal for price-conscious sleepers using our promo code. Cover: The quilted cover is Tencel, which promotes air circulation and wicks away body heat, and is easy to clean. Quilted gel memory foam: This 1” layer is quilted directly into the cover and is designed to relieve pressure and further ensure coolness for heavy sleepers. Gel memory foam: An additional 1” of gel memory foam helps with weight distribution and pressure relief. Adaptive memory foam: 3” of Hi-Core memory foam that gives the Nectar mattress some bounce. Base layer: The 6” foam base layer provides stability and support, helps the mattress keep its shape, and ensures consistent pressure relief for large people. Durable: 11″ of memory foam and high-quality construction means the Nectar mattress should be a long-term investment for heavy sleepers. Consistent support: The Nectar provides equally strong support and pressure relief to back, side, and stomach sleepers. Sleeps cool: The Nectar contains multiple features for sleeping cool, which is especially useful for heavier sleepers. Sleep trial: Nectar offers a 365-day sleep trial. Customers can return their mattress at any time during the first year for a full refund. Read our full Nectar mattress review.